The Mount Tabor school is an educational institution created by families for families. It accepts children from the ages of 2-18, and is inspired by Fr Joseph Kentenich‘s pedagogical principles. As a result it has developed a different type of education. 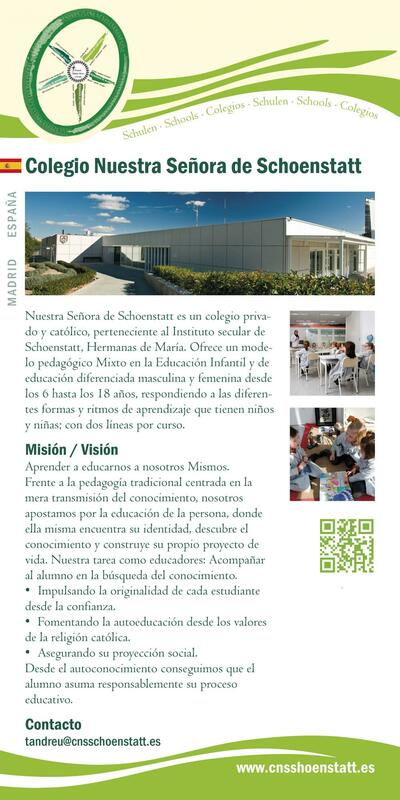 The educational style of the Mount Tabor school is that of a family. The Mount Tabor school identifies itself completely with its motto: “With Mary we want to be a family”. It wants to offer an answer to a society that has to discover its inner coherence and courage. It is a young project that has had to endure some battles, and is convinced that it has a mission for our present times: “Education means accepting, awakening and giving life” (J. Kentenich). The schools sees its right to exist in its core task of developing the personality of its students to the full, in a climate of trust that enables them to become inwardly free personalities, open to values, attached to God, people and nature.